Right… it’s on! 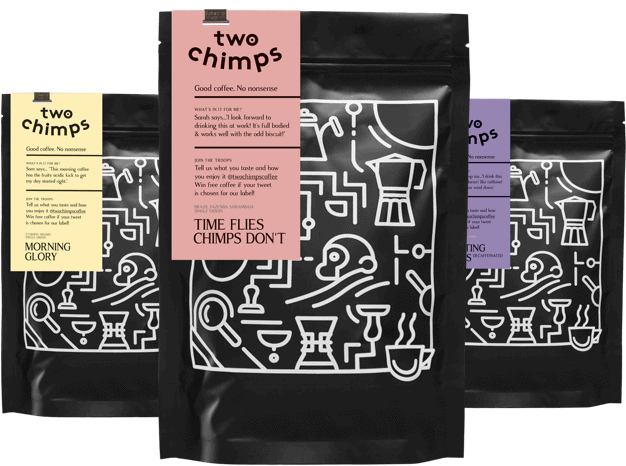 Two Chimps reporting for duty – here to see if coffee is good for you. In this article, we will discuss the pros and cons to coffee consumption. The answer to the burning question – ‘is coffee good for you’ is right here. Coffee has a high content of antioxidants: Antioxidants are substances (natural or human-made) that have the magical power to prevent or delay cell damage. They occur naturally in plant-based food such as… you guessed it, Coffee! Coffee also contains vitamins and minerals – those are the things that keep you going. Coffee also contains Caffeine. Ohhh yes, the juice that makes your bottom dance. Caffeine is a stimulant and increases the activity of the brain, reducing tiredness. It is only short term however and the effects do wear off. When this happens, make sure you have a handy bean bag, (no pun intended) to crash out on for a well-deserved siesta! Coffee can make you into a superhero! It’s true. Studies have shown that coffee drinkers overall risk of death is lower compared to crazy fools that live without the amazing magical potion of coffee. Coffee without milk can contain as little as two calories. Without milk, cream or sugar we don’t have to worry about “a moment on the lips a lifetime on the hips.” Try it, coffee without milk is scrummy. The more coffee you drink daily, the less efficient the caffeine will be. Try drinking fewer cups. The ones that you do drink, be sure to choose a coffee that is amazingly tasty. Drinking coffee close to your bedtime can disrupt your beauty sleep. If this is the case, why not stay beautiful and try a decaffeinated option! If you have a little chimp inside you, then it’s best to stay away from caffeine. Repeat the above steps and keep you and your little chimp happy, healthy and beautiful with decaffeinated coffee- it’s a taste sensation! We recently learnt that there is one particular brew method that creates the ‘heathiest’ cup of coffee. The winner is… The Filter Coffee Method. The filter used for any filter brew method helps catch any Cafestol (a potent stimulator of cholesterol levels) present in your coffee, leading to lower cholesterol in comparison to drinking unfiltered coffee like espresso. And so to recap, coffee is totally awesome. However, it is only excellent in moderation. Remember… drink the best and enjoy every single cup! Is coffee good for you? Of course it is! Find your coffee now on our online shop or use the clever coffee wizard to find it for you.